Oak Hill, NY -- While deep snows have been falling all over upstate New York, plans are already set for this summer's world famous Grey Fox Bluegrass Festival held each year in the Catskill Mountains at Oak Hill, New York. This event really is a Who's Who of Bluegrass Music and people come from all over the country and from other countries to experience this gathering of music, learning, family & friends. Many personal reunions for artists, fans and pickers happen annually at this historic event. This year's four-day event takes place July 13 through 16, 2017. Oak Hill, NY -- While deep snows have been falling all over upstate New York, plans are already set for this summer's world famous Grey Fox Bluegrass Festival held each year in the Catskill Mountains at Oak Hill, New York. This event really is a Who's Who of Bluegrass Music and people come from all over the country and from other countries to experience this gathering of music, learning, family & friends. Many personal reunions for artists, fans and pickers happen annually at this historic event. This year's four-day event takes place July 14 through 16, 2016. Surely a highlight of this year’s Grey Fox Bluegrass Festival will be a very special Keith-Style Banjo Summit hosted by Béla Fleck and Tony Trischka. Joining them to honor the music and enormous influence of Bill Keith will be a “Who’s Who of Banjo” including Noam Pikelny, Mike Munford, Eric Weissberg, Marc Horowitz, Mike Kropp, and Ryan Cavanaugh, along with Bill Keith himself. The 90-minute Keith-style banjo gathering will be on Friday, July 17 beginning at 7:00pm at the Creekside Stage. Banjoist extraordinaire Bill Keith (beaconbanjo.com) is one of just a handful of musicians to have a whole style named after him. Oak Hill, NY – Upstate New York might be knee-deep in snow right now, but plans are already in place for this summer's world famous Grey Fox Bluegrass Festival held each year in the Catskill Mountains. This event is widely known as a Who's Who of Bluegrass Music. Music seekers come from all over the United States and several countries to experience the annual gathering of music, learning, family & friends. Many personal reunions for artists, fans and pickers happen at the beloved and historic event. This year's four-day festival takes place July 16 through 19, 2015 on the picturesque Walsh Farm in Oak Hill, New York. Early camping opens on Wednesday, July 15, with special events for those with full festival camping tickets. Oak Hill, NY -- While deep snows have been falling all over upstate New York, plans are already set for this summer's world famous Grey Fox Bluegrass Festival held each year in the Catskill Mountains at Oak Hill, New York. This event really is a Who's Who of Bluegrass Music and people come from all over the country and from other countries to experience this gathering of music, learning, family & friends. Many personal reunions for artists, fans and pickers happen annually at this historic event. This year's four-day event takes place July 16 through 19, 2015. Oak Hill, NY -- Any acoustic music fan would jump at the chance to see Nickel Creek, Del McCoury, Carolina Chocolate Drops, The Gibson Brothers, and Tim O’Brien at one festival. The rest of the lineup could slack off after that. But Grey Fox Bluegrass Festival never slacks. Instead it brings a veritable Who’s Who of Bluegrass—plus its roots and branches—to New York’s Catskill Mountains every July. This year's award-winning four-day festival will run Thursday, July 17 through Sunday, July 20 on the Walsh Farm in Oak Hill, New York. World Wide Bluegrass is proud to announce they will be broadcasting live for two days from the main stage at the Grey Fox Bluegrass Festival on Friday, July 18 and Saturday, July 19. Join WWB personality “The Other” Steve Martin as he presents music, interviews, observations and up-to-the-minute news from the festival site. Grey Fox bluegrass festival staff has been busy assembling their latest and greatest all-star lineup for the 2014 Grey Fox Bluegrass Festival set for July 17-20 in Oak Hill, NY. This is one of America's finest bluegrass music festivals and it historically brings people from all over the world to enjoy the outstanding lineup of talent presented each year. 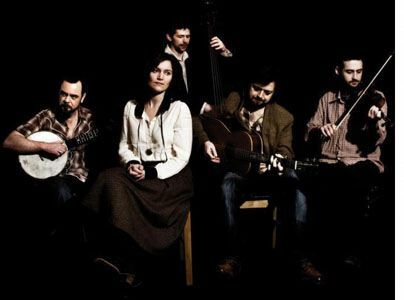 Oak Hill, NY -- Ireland’s own I Draw Slow will share their musical blend with audiences across America during their U.S. tour this summer. The band’s first performance is July 19 at the Grey Fox Bluegrass Festival. I Draw Slow will make several stops on the East and West Coast throughout July and August. One of America's finest bluegrass festivals takes place in Oak Hill, New York. This year's event is scheduled for July 18-21 - less than four months from now. Friday is the deadline for Early Bird tickets. The end of our Early Bird Ticket Special is coming right up. Friday, March 15 is the last day to get 'em at the great price of $160 per person (camping included), so get on board now and save. Kids 12 and under are admitted free with ticketed adult. But, the best is this year's exciting lineup of the finest names in bluegrass music today. Utica, NY -- ArtistWorks Academy of Bluegrass superstar teaching artists including banjo master Tony Trischka, guitar whiz Bryan Sutton and fiddle icon Darol Anger step "Out of the Cloud and Into the Crowd" at the 2012 Grey Fox Festival July 19th - 22nd at the Walsh Farm in Oak Hill, New York. In addition to exciting live performances on the Gray Fox main stages, these legendary bluegrass players will treat festival-goers to a special, hands-on Bluegrass Workshop Saturday July 21st at 6:00 PM on the Creekside Stage, as well as appearing throughout the four-day festival at the ArtistWorks booth for autograph sessions, photo opportunities, contests, prizes and giveaways. About four years ago to the day while driving to one of Three Tall Pines' favorite bluegrass music festivals, Greyfox Bluegrass, the band decided to write a fun song about the festival. At the time playing on the Greyfox stage was a far off goal that will be met at this years festival!! Three Tall Pines will be playing on Thursday evening at 8:30 PM, and can't wait. They have a new bassist, Nick DiSebastian, who will debut with us at "the Fox". The Grey Fox Bluegrass Festival is a Who's Who of Bluegrass Music and it's no wonder that this festival is one of America's finest for the genre. The festivities begin in just a few days as the event runs from July 19-22. Four days, six stages and dozens of award winning bluegrass artists all in one fine place. In a serene setting at the Walsh Farm in Oak Hill, New York you'll find an awesome collection of mighty fine bluegrass talent to entertain you. Dry Branch Fire Squad traditionally hosts the four day event. Greene County, NY -- Getaway to the Great Northern Catskills of New York and celebrate summer with community concerts, major music festivals and a variety of outdoor recreation perfect for an extended summer getaway. In a list of summer events in New Yorks's Great Northern Catskills of music and cultural festivals, we find the wonderful Grey Fox Bluegrass Music Festival.